When we have told people about the book, we have sometimes been met with puzzlement. What do these topics have to do with one another? It's as though we have announced that we wrote a book on apple sauce and windmills. 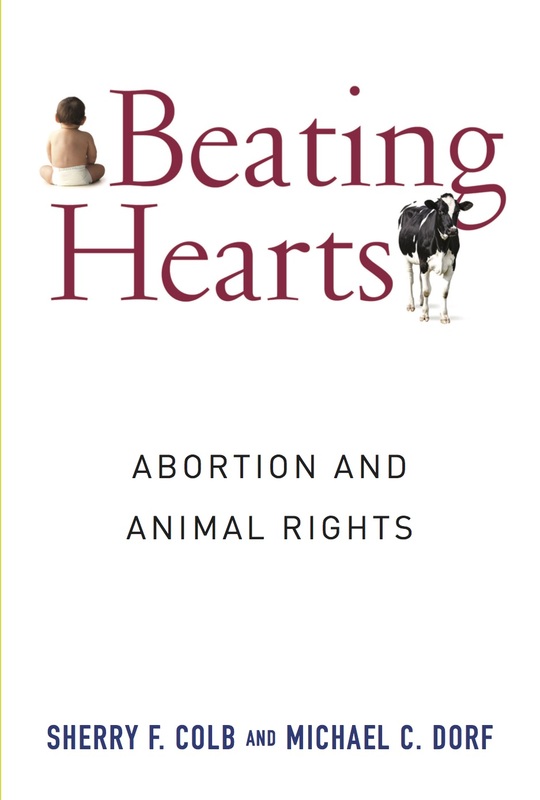 Beating Hearts connects abortion and animal rights because, as we explain in the Introduction, both the pro-life movement and the animal rights movement challenge conventional understandings about the role that humanity--the fact of belonging to the human species--properly plays in assessments of moral worth. As we write: "people in the pro-life movement regard humanity as a sufficient condition for moral rights; people in the animal rights movement contend that humanity is not a necessary condition for moral rights." The book also draws connections between the strategic and tactical questions faced by the pro-life and animal rights movements. When are incremental strategies helpful? Do gory images (of mangled fetuses or slaughterhouses) win hearts and minds or merely turn people off? Given the high stakes, how can people in each movement who oppose violence argue against the use of violence? And so forth. Beating Hearts is an academic book in the sense that we evaluate arguments regardless of where they lead. We try very hard not to be polemical and to state positions with which we disagree fairly. Although the book aims to reconcile animal rights with a pro-choice position on abortion, we credit arguments that aim to show the immorality of abortion of sentient fetuses. We think that if we have done our job well, the book will in places make people who share our bottom line uncomfortable. We hold out hope that Beating Hearts is not simply an academic book. Our discussion ranges over controversial topics in philosophy, law, sociology, and various other academic disciplines. However, we assume no specialized knowledge of the reader. If you enjoy what you read from each of us here on the blog, in our Verdict columns, and/or our various academic writings, we now shamelessly urge you to buy the book. And may this work be the exception to the axiom that sales of non-fiction are inversely related to the quality of the work. And some people, myself included will be motivated in part to purchase the book because we are not sure about this being a fun journey. "Beating Hearts is a refreshing and surprisingly fun journey. 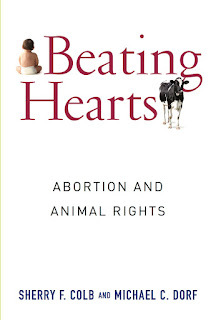 This nuanced book clarifies how it is possible (indeed, how it is all but required) to be both pro-choice on abortion and fully committed to animal rights. Colb and Dorf offer a wealth of knowledge and insight as they walk us through the various issues raised by these two ethical commitments." Neil H. Buchanan's idea of "fun" might be different than some people, but it's good to get such a great endorsement. Seriously, congrats, and will try to read it. I want to read this but honestly will probably wait to see if the price drops.